Whenever there's a storm brewing the fishing boats catching fish and chokka out in and just outside Algoa Bay sails into the bay to find shelter and ride it out. 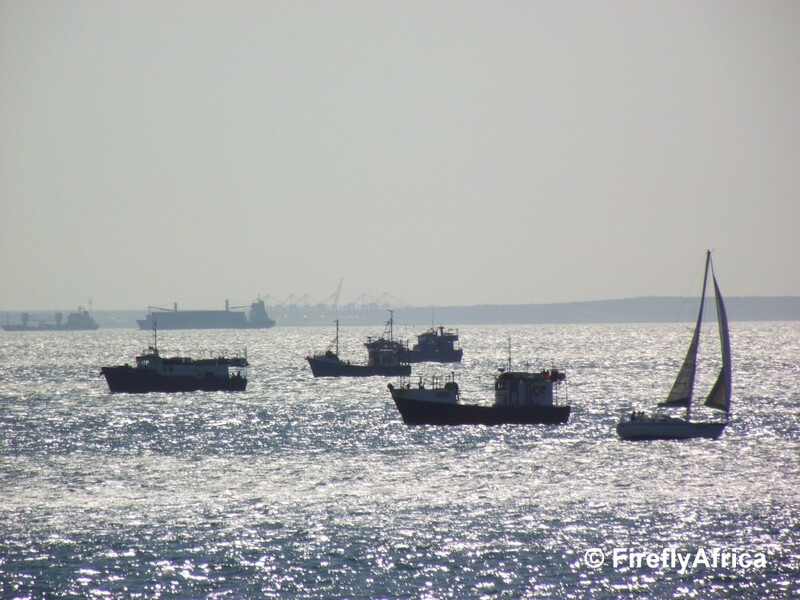 The other day I got the perfect scene with a yacht sailing past a number of fishing boats and a couple of big ships in the background waiting to enter the Port Elizabeth Harbour. 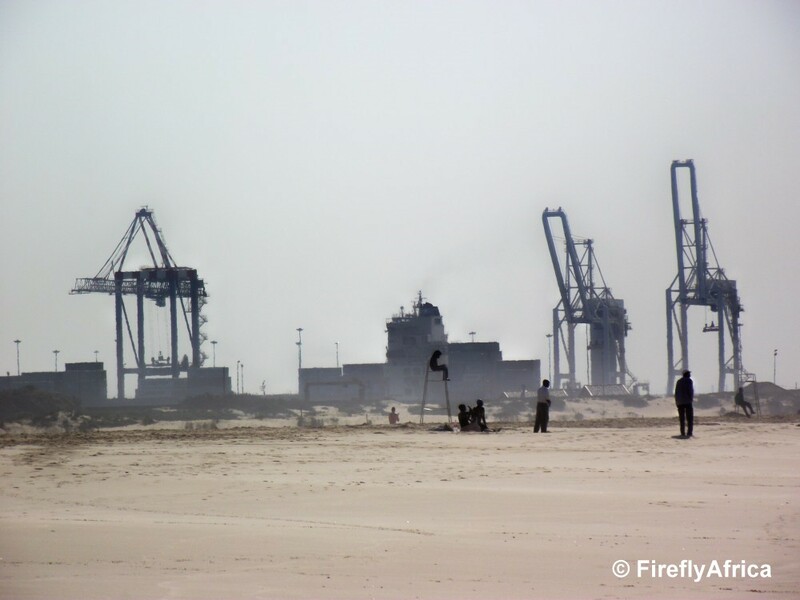 The gantry cranes right in the back are at the Coega Harbour on the other side of the bay. Part of Nelson Mandela Bay Tourism's newly revamped Visitor Information Centre at the Donkin Reserve. 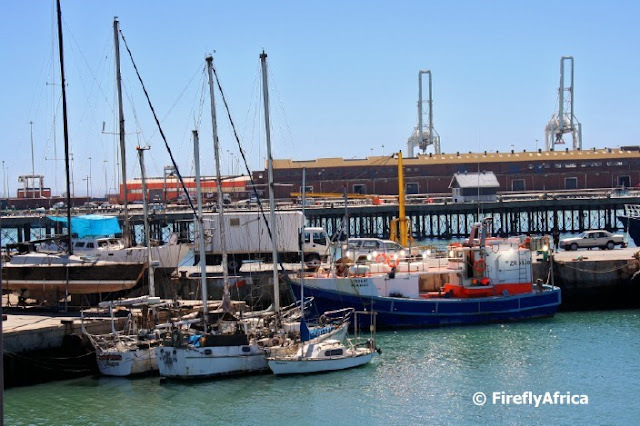 The Nelson Mandela Bay Municipality is busy with an upgrade of the Donkin Reserve and part of the process was the renovation of the lighthouse and lighthouse keeper's cottage. The tourist info office is situated in the lighthouse keeper's cottage and with the work being done to the building got a upgrade. 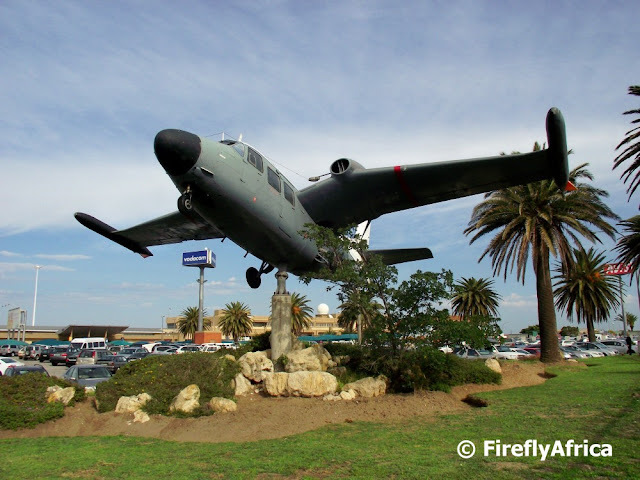 There are two planes on display outside the Port Elizabeth Airport. The first one is an Impala on top of Aviators Bar and Grill and the second one which is situated next to the parking lot is an Albatross. The Albatross was a maritime aircraft used by the South African Navy for patrols. St Georges Park has a number of paths and walkways through it which gives one the opportunity to feel like you have gotten away from the city. 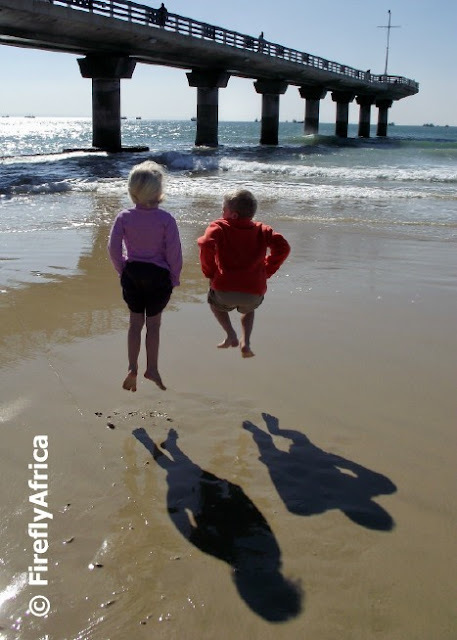 Unfortunately the people of Port Elizabeth isn't really utilising the park as much as they should be, which means that when you do go there you have to be very cautious of possible unsavory elements trying their luck. I always wonder why people working in the area doesn't go there during their tea and lunch times to just get out of the office and out into a bit of nature. 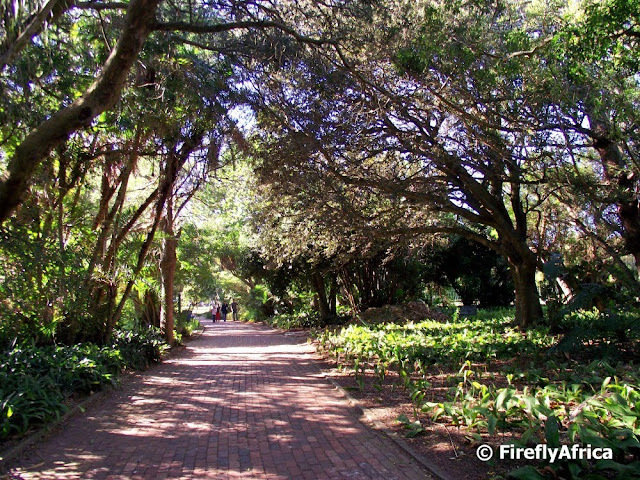 Port Elizabeth is blessed with two stunning small game parks within the city boundaries in the Kragga Kamma Game Park and the Seaview Game and Lion Park. 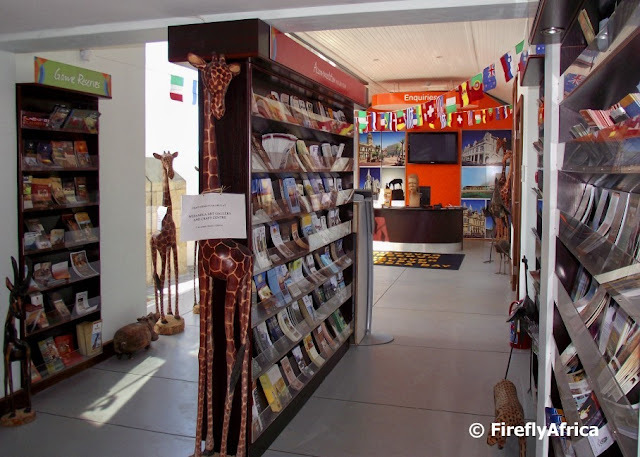 Both of these have a number of different animal species that can be view on the game drives through the park. 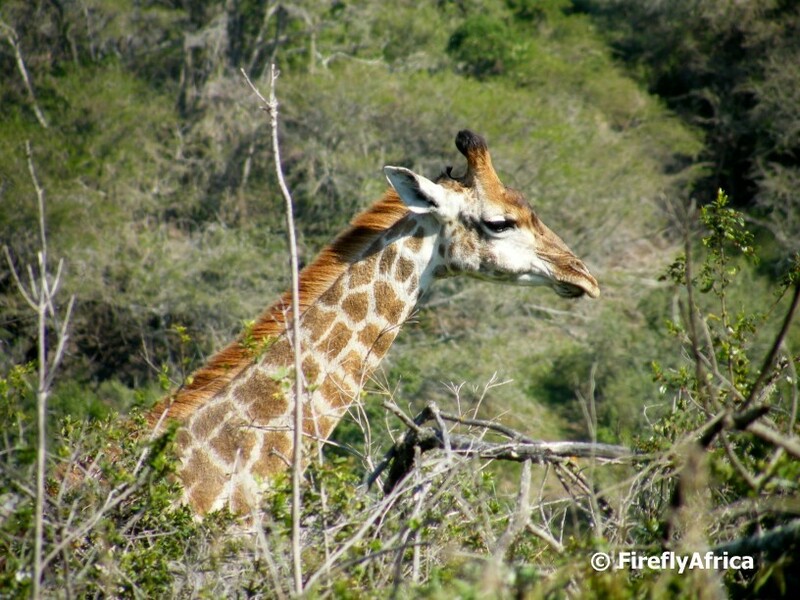 Most people get quite excited when they see giraffe, of which there are quite a few at both reserves. One of the Cape Fur Seals at the Bayworld Oceanarium grooming himself. 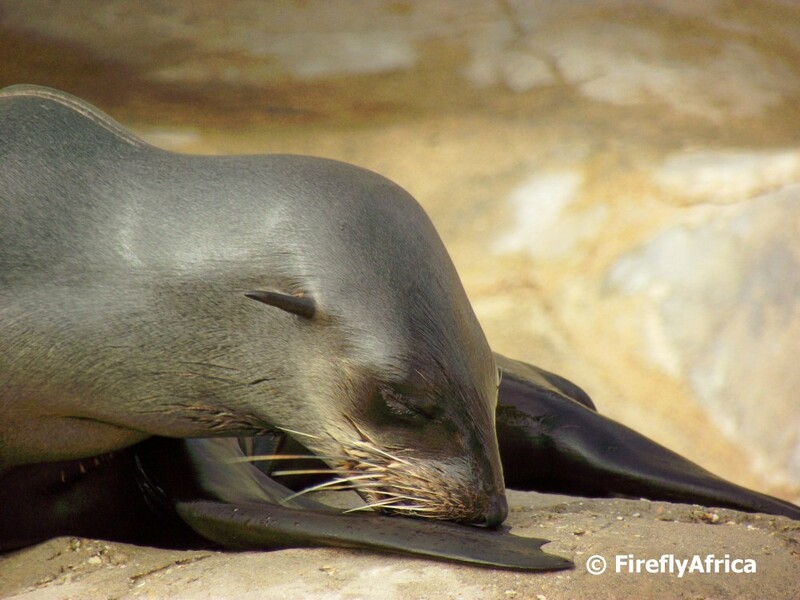 Bayworld has a small colony of Cape Fur and Sub antarctic Fur Seals. The seals make up an important part of Bayworld's educational display every day with Kelpie the seal being one of the facilities' stars. 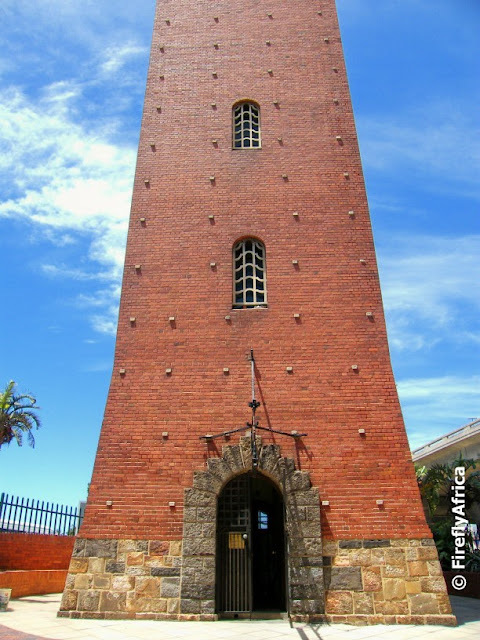 As today is National Heritage Day here in South Africa, I want to feature the Nelson Mandela Metropolitan Art Museum which is situated at the entrance to St Georges Park. The museum was opened in 1956 and was formerly known as the King George VI Art Gallery. 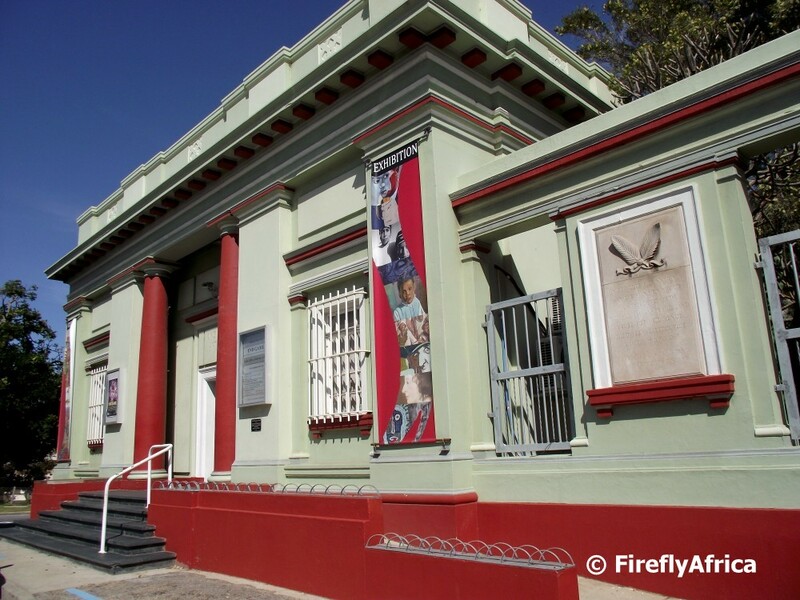 The collections are housed in two buildings flanking the entrance to the park and consist of South African art (particularly that of the Eastern Cape), British art, international printmaking and Oriental art (including Indian miniatures and Chinese textiles). Limited exhibition space requires the museum to constantly rotate it's Permanent Collection which is also supplemented by an active programme of temporary exhibitions. As the facility is a museum and not a gallery, visitors can't buy art at the museum. Quite a number of the private game reserves around Port Elizabeth have traditional dancers as part of the entertainment for their guests. Most of the youngsters in the groups dancing on the reserves either live on the surrounding farms or in one of the small towns close by. 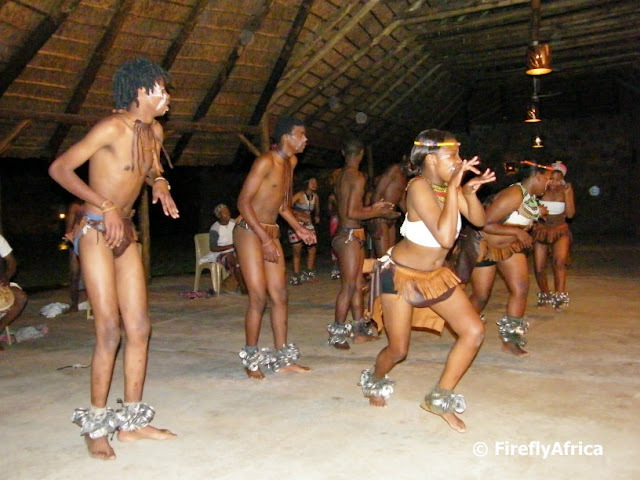 Although South Africans are used to traditional African dancers, the international visitors love it and it always end up as one of the highlights of their visit to the reserves. The new aloe garden that was created at the Donkin Reserve as part of the Nelson Mandela Bay Municipality's upgrade of the area. 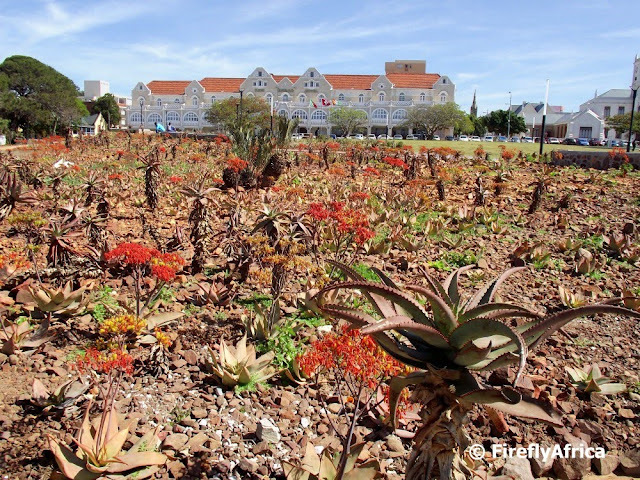 The orange flowers are the Coral Aloe in bloom while the building in the background is the King Edward Hotel.. 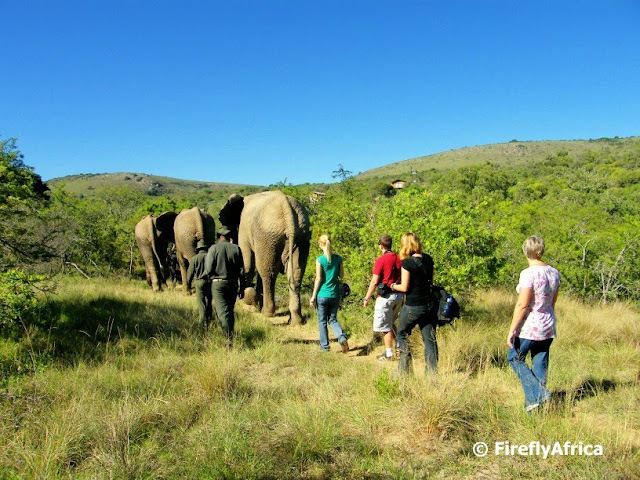 The Addo Elephant National Park is one of Port Elizabeth's biggest attractions. There is very few game viewing experiences that get close to having a big herd of elephants passing within arm's length of your car. But for those who wants a more personal elephant experience, a visit to Addo Elephants Back Safaris in the Zuurberg Mountains is a must. Although the main activity there is riding the elephants, my favorite experience was walking with them. It gives you the opportunity to get close to them in their natural environment and even better, get photos that you can't get from a game drive vehicle. 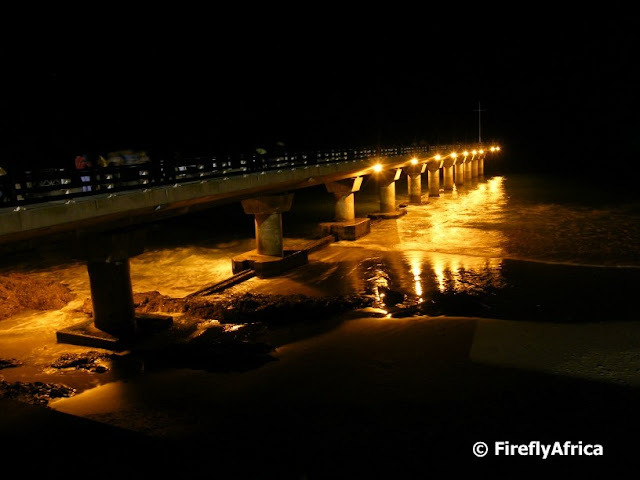 The Colchester area east of Port Elizabeth was a very busy spot in the mid 1800s and early 1900s, as it had the only pont over the Sundays River on the main road between Port Elizabeth and Grahamstown. The original pont was washed away in 1874 and a second one in 1875. A bridge was commissioned in 1884 and opened on 5th March 1895. It was called the Mackay Bridge, in honour of John Mackay who's efforts resulted in its construction. This bridge was constructed entirely of steel and iron brought all the way from Sheffield in England. Due to the elements taking its toll on it, the road across the bridge was closed to traffic a couple of years ago although it can still be accessed on foot. The Rugrats have learned that when they see me with camera in hand, somebody is gonna be asked to stand in a photo somewhere. At least they don't object that much anymore. I wanted to get a nice "jump in the air shadow" pic with the pier in the background (to have an excuse to post it on PEDP), but struggled to get them to jump at the same time. Also not easy with a prosumer camera that only takes one photo at a time. So needless to say it took a little while to get this pic right. At least my models didn't walk out on me before getting the desired shot. Or more like, they left after this one so it will have to do. When I seriously need to get out the office and don't really have anywhere spicific I want to go, I pop up the street and take a walk in Victoria Park. 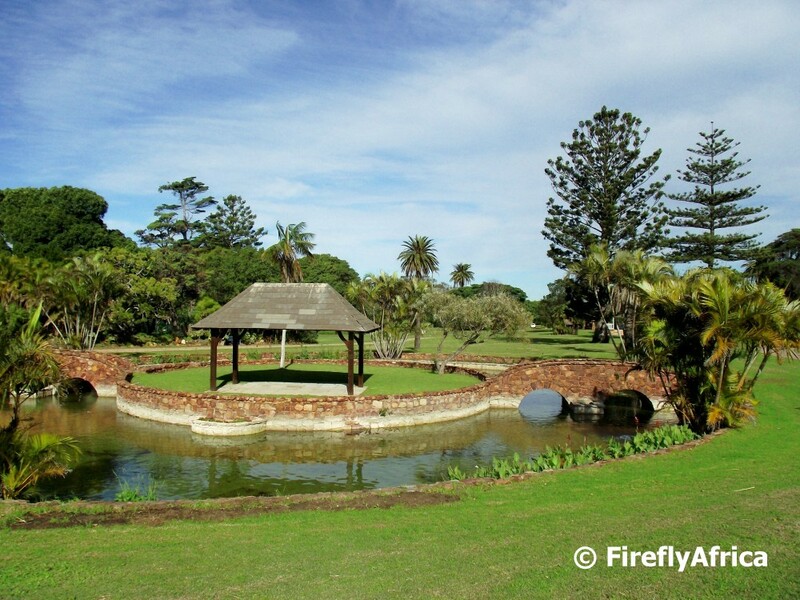 Vic Park, named after Queen Victoria, is in lower Walmer and probably is one of Port Elizabeth's lesser know big parks. Usually most photos concentrate on the Campanile from afar or looking up at it's top, so I decided to post one of the entrance. The Campanile was completed in 1922 on the landing beach where the British Settlers arrived in 1820. Once you enter this door, you still need to climb 204 steps to get to the top observation area for stunning views all around. 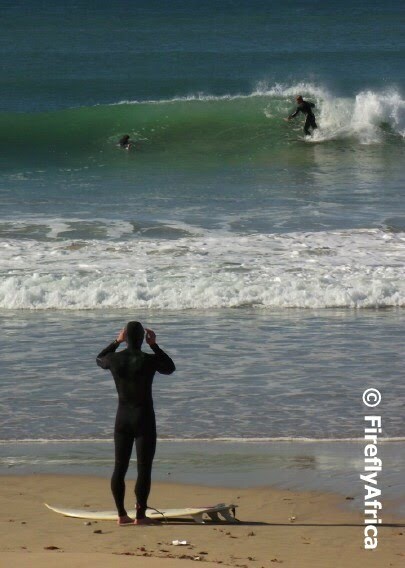 A surfer getting ready to enter the water at one of Port Elizabeth's popular surfing spots at Pipe at Pollok Beach. In parts of Central you can still find some of the first homes to be built in Port Elizabeth. These old Settler houses have become quite a popular investment lately and a lot of people are renovating them to their former glory. The area was starting to be one of the most run down parts of the city and it is good to see that some people are having pride in the city's and their heritage and doing something about it. I live fairly close to the narrow guage line that is used by the Apple Express and can normally hear it when it goes by on a Saturday morning. The historic Apple Express narrow gauge train offers day trips to Loerie as well as 3 day trips to Kareedouw in the Langkloof. 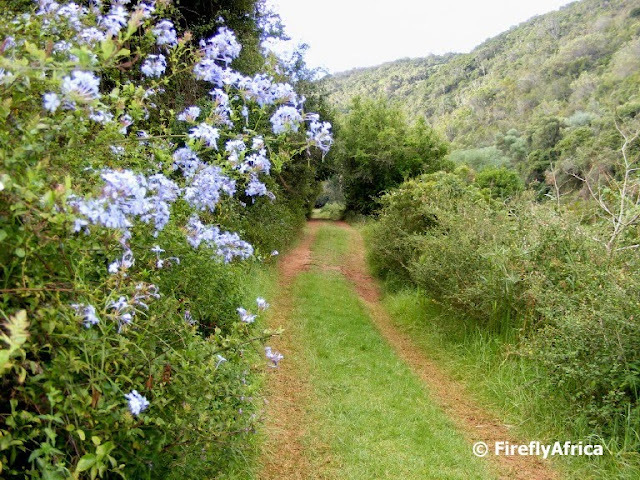 Construction on this historic line commenced in 1902 and was done to connect the scenic Langkloof with its fruit growing industry to the port of Port Elizabeth. 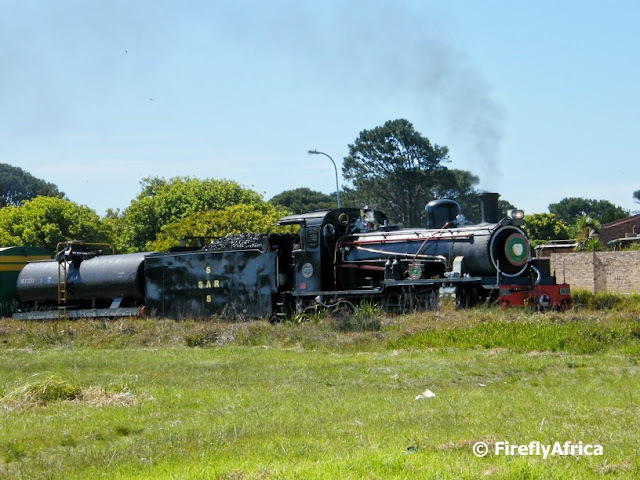 As it was used to transport apples to Port Elizabeth, the train got known as the Apple Express. 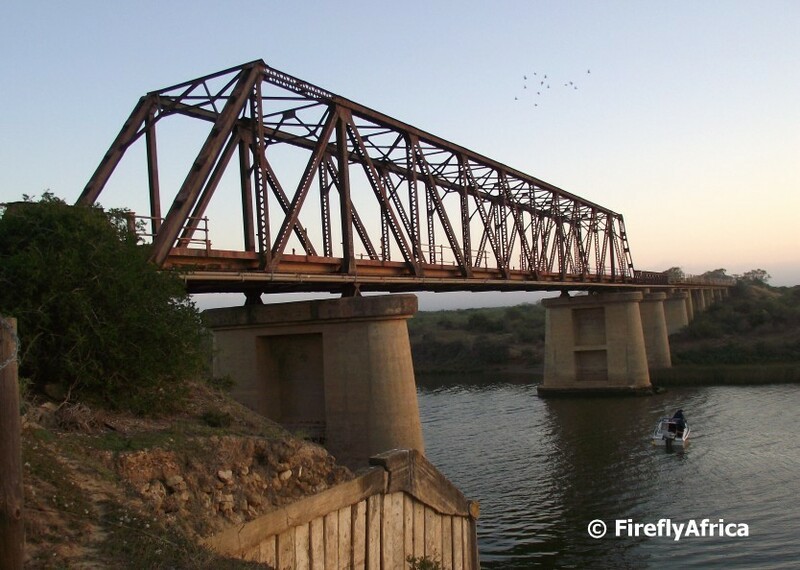 The line runs over the Van Stadens Bridge, the highest narrow gauge railway bridge in the world. The Apple Express is famous for being pulled by a steam train, although a diesel locomotive is used should the fire danger risk be high due to hot, dry or windy weather. One of the tigers at the Seaview Game and Lion Park just outside Port Elizabeth. 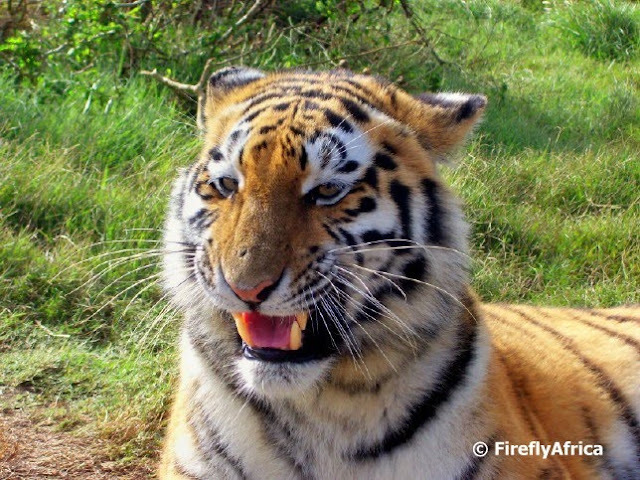 Seaview has three adult tigers, of which one recently gave birth, in a big enclosure next to the white lions. 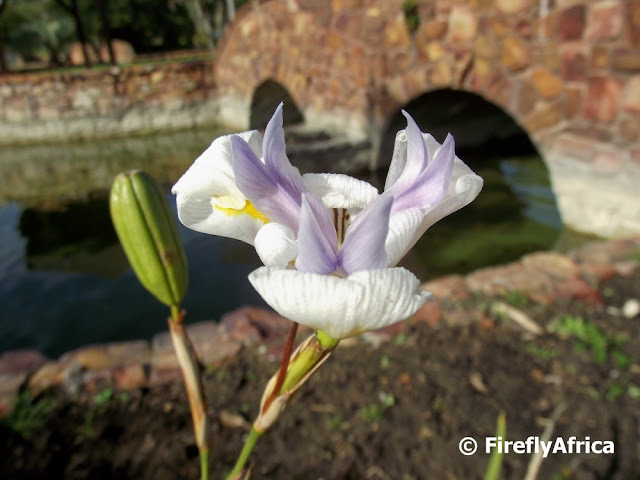 The Cuyler Manor Museum just outside Uitenhage is housed in the original homestead built for General Jacob Glen Cuyler. Cuyler was Landdrost of Uitenhage from 1806 to 1827. 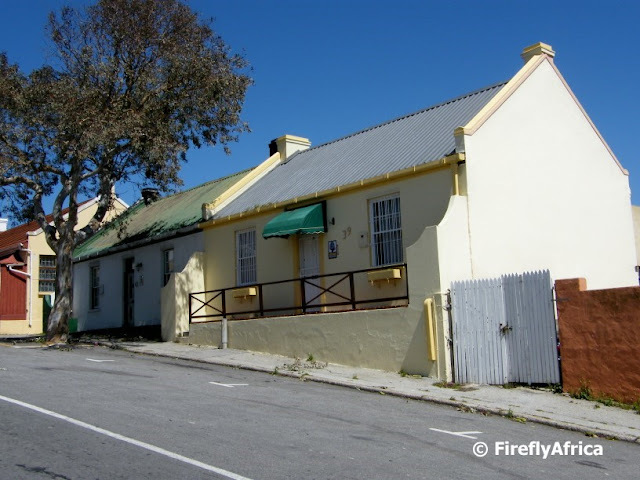 This Cape Dutch style house has been restored and furnished in the style of its day and along with the surrounding grounds and buildings act as a living museum. Demonstrations of traditional activities such as soap and candle making, baking and weaving can be arranged. 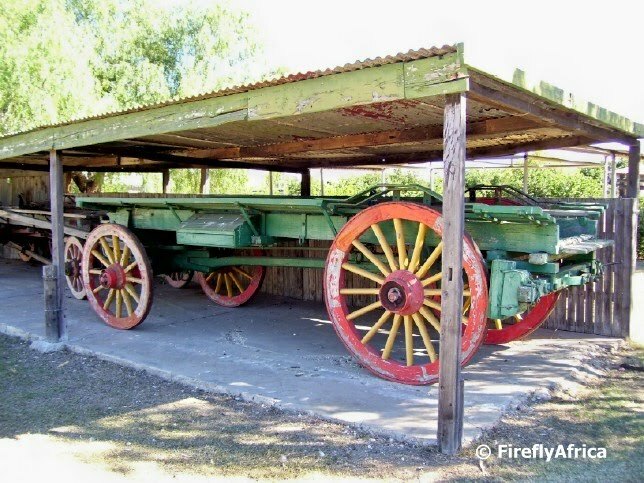 Part of the exhibits at the museum is this old ox wagon from days gone by. 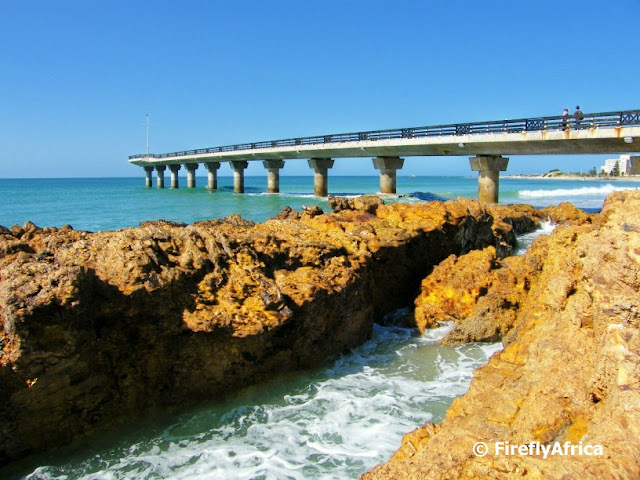 Shark Rock Pier at Hobie Beach has become one of Port Elizabeth's best known landmarks over the years. Its also a great spot to watch the sunrise, eat an ice cream on a hot day or have a romantic sunset stroll. In 1971 the Port Elizabeth Shakespearean Festival requested that a open air theatre be developed in St Georges Park and this request was approved by the city's Parks and Recreation Committee. 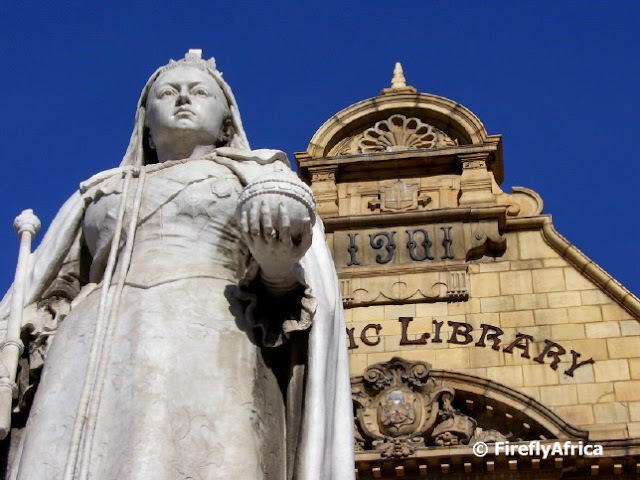 The driving force behind this was Bruce and Helen Mann, doyens of the theatre in PE. The theatre comprises a stage and grassed area with grassed tiers where seats are placed. 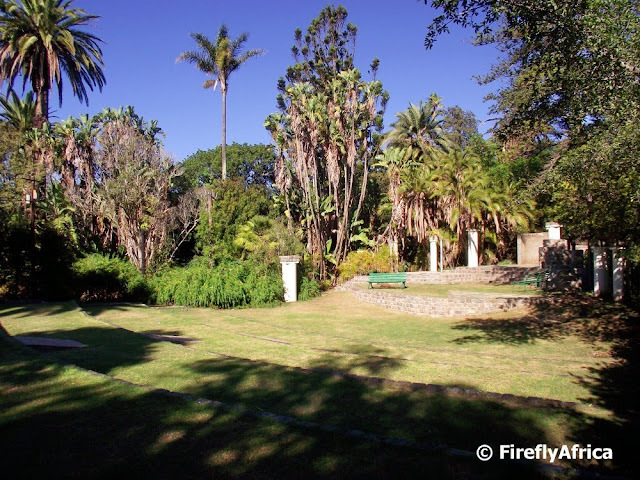 It is utilised by the Port Elizabeth Shakespearean Festival which stage their annual Shakespear play there, but is open to anybody wanting to hire the venue for an event. Port Elizabeth has so many interesting and facinating monuments and statues, but Queen Victoria with the old Public Library behind it still stays one of my favorite scenes to photograph. A couple of yachts and fishing boats lying side by side on the Port Elizabeth Harbour. Some of the buildings in the retail section of the Boardwalk Casino and Entertainment World reflecting in the Boardwalk lake. 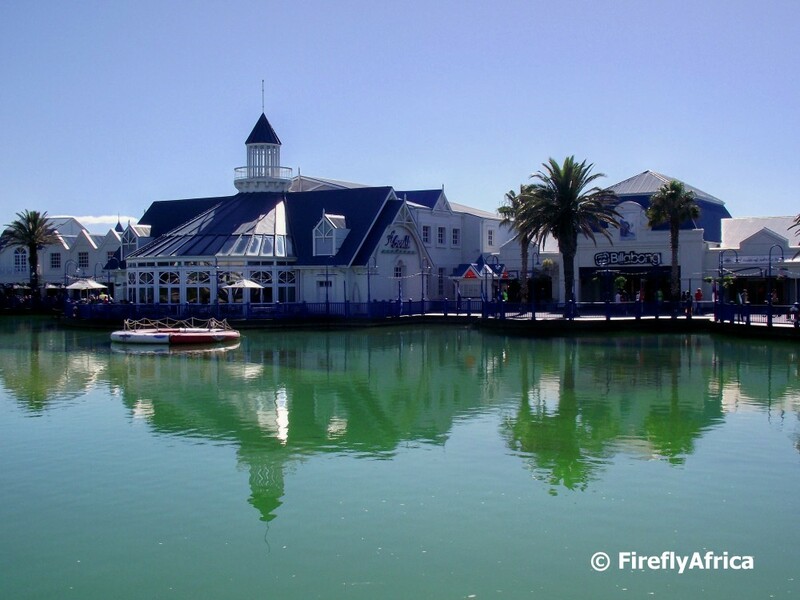 One a nice day here in Port Elizabeth the restaurants along the lake is a very popular spot to take in the sun while enjoying something to eat and drink. St Croix Island in Algoa Bay is home to the biggest African Penguin colony in the world. Unfortunately the number of penguins on the island has drastically reduced over the last couple of years and the reason for this basically comes down to pollution and over fishing. 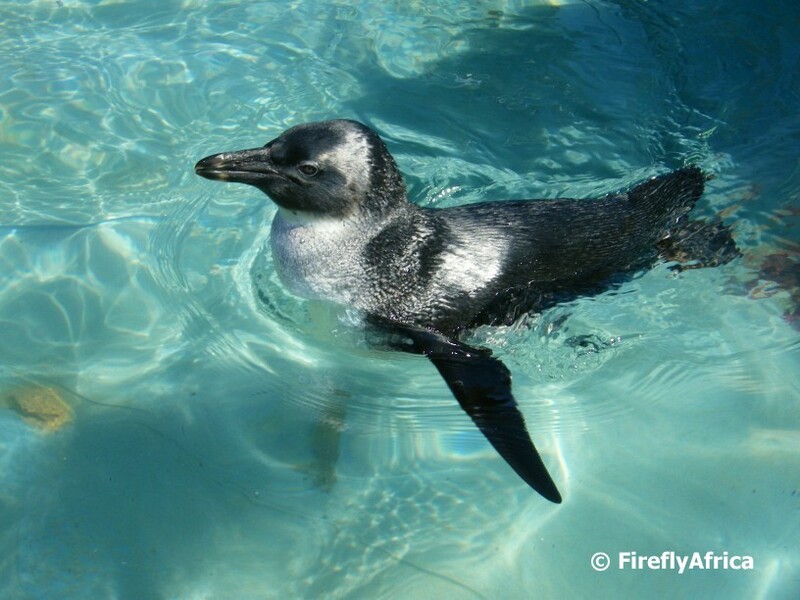 SAMREC (SA Marine Rehabilitation and Education Centre) at Cape Recife takes in marine animals and birds that is injured or effected by pollution and does a great job nursing and caring for them as well as rehabilitating them back into the wild where possible. I haven't been to SAMREC for a while so I haven't seen their new rock pool facility, but I will pop in there soon and get some pics for the blogs. If there is something I have a soft spot for as a photographer then its a sunset. You can never get tired of the sun disappearing over the horizon with its coinciding oranges, yellows, blues and purples along with a beautiful afterglow. Even better is when you can find a nice subject to put in the foreground to compliment the sunset. 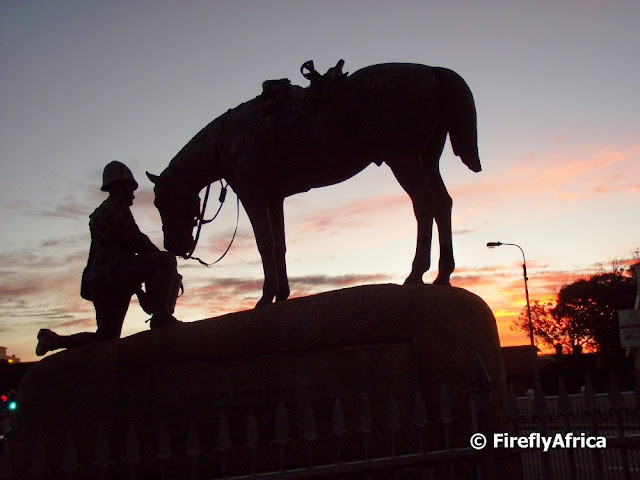 In this case the Horse Memorial here in Port Elizabeth. For more sunsets and other sky related photos, visit Skywatch. Today is Spring Day. Winter is busy packing it's bags to head north and summer is knocking on the door. Happy Spring Day. I posted a similiar pic on The Firefly Photo Files the other day, but its very suitable for here on PEDP for today. The photo was taken in Victoria Park.